Gott gibt der Menschheit neue Gesetze der Entwicklung weiter, die die Frau Seklitova und Frau Strelnikova in dem Buch «Die Gesetze der Weltschöpfung oder die Grundlagen der Existenz der göttlichen Hierarchie» dargelegt haben. Das ist eine schwer verständliche Information, die für die Menschen der neuen sechsten* Rasse bestimmt ist. 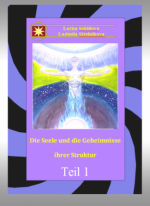 Die Information aus diesem Buch wurde empfangen als Ergebnis aus den Kontakten mit Gott. Aufgrund der Kontaktsitzungen haben wir ein neues Wissen erhalten, das der Menschheit für die nächsten 2000 Jahre, sprich bis zum Jahr 4000 gegeben ist. The given book narrates about unusual meetings of authors with representatives of other worlds, about penetration of the person into other measurement and adjustment of contacts to representatives of other civilizations. This book introduces readers to the work of several enthusiasts who had conversations with the Higher Cosmic Mind. 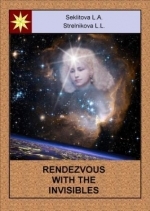 The reader learns about communication technique with the Higher world, about unusual events taking place during their channelings, funny cases and dangers which could happen with them. 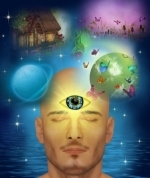 In this book the Higher Mind presents the newest information about worlds managed by God and Devil, human development according to programs of positive and negative Systems of Space. Heavenly Teachers and God tell who creates souls and how, what types exist on the Earth, whether plants, animals, planets and stars have them or not. This book is a result of years-long channelings of the authors with the Higher Creator. For the first time the mystery of Heavenly Teachers’ life is solved in it. You can find out that they manage people, how they do it, how they take part in human birth and death and that they are divided into positive and negative ones.